Lovely one local owner example equipped with £4,950 in factory options plus a free service package to 50,000 miles or 29/11/2021. The car features an electric panoramic sunroof, full black leather, heated front seats, privacy glass, LED interior mood lighting, bluetooth phone interface, auto lights and wipers, rear park distance control, DAB radio, cruise control, Bi-Xenon lights with gloss black surrounds, Chili Package, electronic climate control, multi function leather sports steering wheel, USB audio interface, LED foglights and more. All keys and bookpack present. 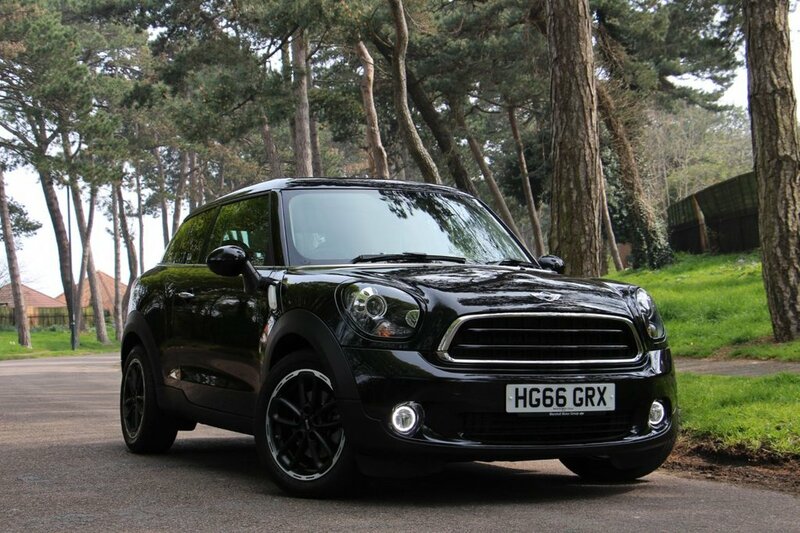 In Midnight black metallic. Mini warranty and roadside assistance to 29th November 2019. £30 a year road fund license.